Traditional round wedding cakes are available in 6 -18 inches in diameter. The number of tiers and cake sizes should be matched to the total number of guests being served. 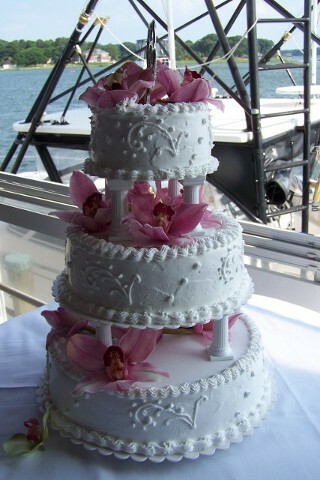 Traditional wedding cakes can be designed in square shapes as well.